Gran Canaria-based Aerolaser has carried out more than 60,000 kilometers of LiDAR and photogrammetric projects around the world since their start in 2008. With their AeSystem, which can utilize up to six Hasselblad A6D-100c Cameras, aerial corridor mapping via power line inspections are smoothly executed using both zenithal and oblique camera systems. “Using the Hasselblad A6D means we can obtain optimal results for aerial projects. The high shutter speed, the 100 MP CMOS sensor as well as the quality of color in the photographs makes this model an excellent combination of price and performance,” says Tomás Herrera, director of Aerolaser. Taking advantage of the high-quality files captured by the A6D-100c, Aerolaser is able to produce high-resolution orthophotographs, or geometrically corrected aerial images that are true to scale. “This allows us to produce detailed cartography. By zooming in on the photographs, it’s possible to pinpoint structural defects, irregularities, or other small, key details,” explains Tomás. 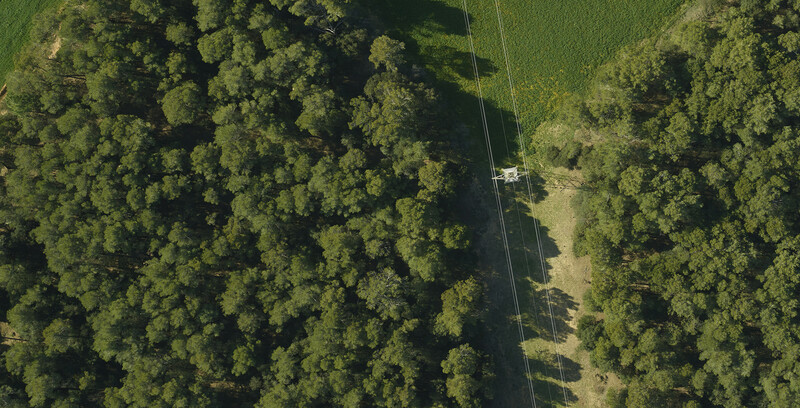 For power line inspections, combining 100-megapixel images with a low-altitude flight allows us to obtain images of 4mm resolution which provide great versatility in the detection of structural deviations. The AeSystem is comprised of up to six cameras, a laser scanner, an inertial control unit, a Global Navigation Satellite System (GNSS), and an inertial measurement unit (IMU). All the sensors are controlled using one computer, an AePC, and Aerolaser’s own unique application, AeMission. Although incorporating multiple parts, the AeSystem is light, compact and easily transportable, weighing only 30 kilograms. Easily installed, the system can be used on all types of aircraft models. “Combining Hasselblad A6D cameras with the AeSystem lets us offer a competitive aerial system on the market which is both affordable and gathers high-quality aerial data,” says Tomás. Learn more about Aerolaser’s work here. Subscribe to our mailing list and know about the newest features first.